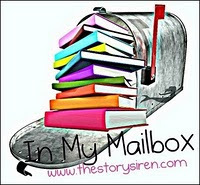 In My Mailbox (1) Find out what is in my mailbox weekly, a feature hosted by The Story Siren. I will share what I get every week. If I haven't gotten anything new then I will share what I'm reading and What I will be reviewing in the near future. 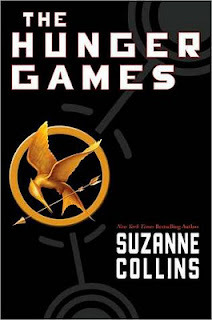 I'm reading Hunger games right now and am liking it! I finally got the book now that the movie will be coming out in the near future. Thank you all for checking out what is in my mailbox! Feel free to give me feedback and tell me what you are interested in from my mail box! I got Halflings as well. New follower. Come visit me as well. I got Halflings as well, and you're gonna love Clockwork Angel! Grace Thank you I followed you back :) and awesome I hope Halflings is good It sounds interesting! Hunger Games!! I would love to go back and read the series again for the first time; I loved it! And Cassandra Clare - she can make and break my heart in the same sentence! Love her writing!! I keep getting distracted by all the blogging stuff so I'm still in the beginning but it is about to get even more exciting! I just finished part 1. 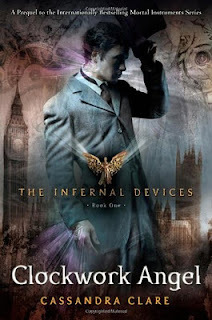 Cassandra Clare is amazing! I totally agree with you! I shall check it out thank you very much Kelly! Awesome IMM! The Hunger Games is freaking amazing, as is Clockwork Angel! 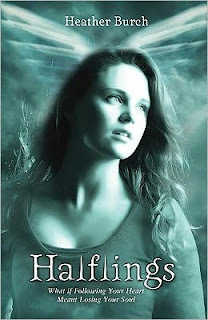 And I've been really wanting to read Halflings! Enjoy your books! Thank you very much! Check out Net Galley for Haflings you might still be able to get it. I'm really excited about all of them :) I will check out your IMM! Love the Hunger Games! Hope you love this series as much as I did! I have about 100 pages left... It's awesome, I can't wait to see what happens next! I hope you love The Hunger Games!! :o) Great IMM!